Every advanced Blackjack player benefits from having a good memory. We know that some people are born with great mnemonic abilities, but don’t be discouraged if you are not one of them! With the right mnemonic techniques it’s possible to dramatically increase one’s abilities. There are several ways mnemonics can be useful in Blackjack. One is to memorise the basic strategy for Blackjack – something that is considered to be a stepping stone for every Blackjack beginner with professional aspirations. When using advanced strategies, mnemonics are not crucial for card counting (which also relies on calculations), but are especially useful in shuffle tracking and ace sequencing. The basic principle of mnemonics is to create some sort of link or a code that will help you recall the necessary information. In blackjack, it is common to link specific cards to interesting objects or persons. We are more likely to remember something that leaves a greater impact on our mind: a colourful or an exciting image, a sound or a feeling. In other words, something that evokes an emotional response. One useful technique is to imagine a place, a so called Memory Palace, in which distinct objects placed in rooms represent specific cards. Another is to create a list of 52 people beforehand, and associate each of them with a card. You can also create categories to differentiate between suits: hearts for people you care about, diamonds for rich celebrities, etc. It will take some time to memorise this coding, but after that you can easily use it at the casino. Since each of us has unique experiences and thought patterns, feel free to find your own way to code cards into something you can recall with ease. ← Previous Story What is Shuffle Tracking in Blackjack? Thanks! 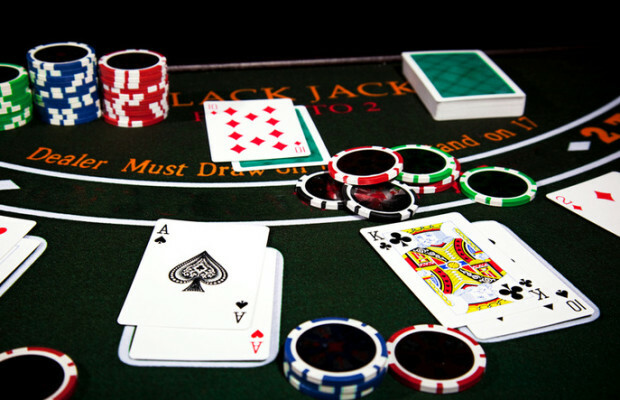 https://casinority.com/online-blackjack-tournament-tips/ – another good article about blackjack.